Federal and state government programs in recent years have been announced and initiated to try to create better habitat and forage for honey bees and other pollinators. Corporations that have been criticized for neonics and other negative impacts on bees have also responded by funding efforts to increase pollinator habitat and forage. Bayer, in particular, with its “Feed a Bee” steering committee, recently requested proposals to establish additional forage for pollinators in all 50 states by 2018. Bayer’s program, in its third year now, and working with many individuals and partners, has plans to plant more than two billion wildflowers across the U.S. in creating and increasing forage areas for pollinators. The Pollinator Partnership, in particular, deserves praise in encouraging and developing many corporate partners. Some corporations in specific business or industry sectors through their work with the Pollinator Partnership have contributed significantly. One example within the timber and industrial packaging sector is Greif, Inc. Greif committed in 2009 to improving pollinator habitats through various silvicultural activities. The U.S. Forest Service defines silviculture as the art and science of controlling the establishment, growth, composition, health, and quality of forests and woodlands to meet the diverse needs and values of landowners and society, such as wildlife habitat, timber, water resources, restoration, and recreation on a sustainable basis. 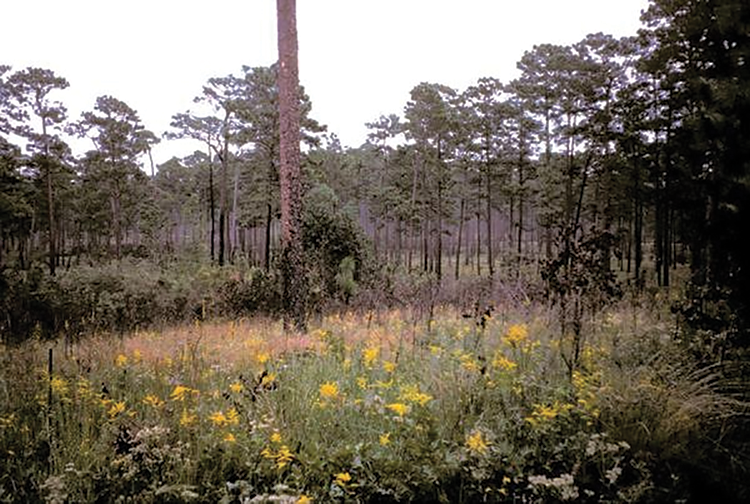 Greif sought to increase pollinator populations by improving wildlife habitat. The corporation recognized that by improving wildlife habitat that timberland owners could expect multiple benefits, including increased hunting lease revenues. Greif, its land management subsidiary, Soterra LLC, and the Pollinator Partnership won the Sustainable Forest Initiative Conservation Award in 2013. They were recognized for the Tiger Swamp Pollination Study and their overall commitment to the Pollinator Habitat Improvement Project. That study found that bees do well in managed forests while helping local wildlife and plant populations. Parts of Soterra’s land holdings were involved in this study that explored different forest management techniques and their potential to improve pollinator habitat. 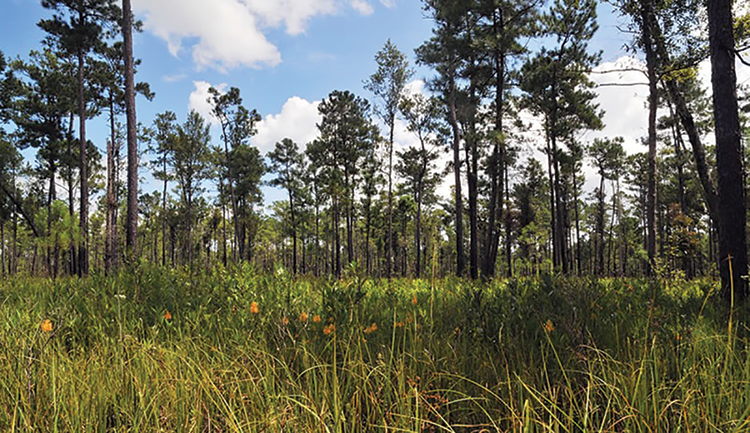 Other project partners included the U.S. Forest Service, Mississippi State University, NASA, the University of New Orleans, Sandhill Crane Refuge and Allen Farms and Hines Honey. Private-sector initiatives to improve pollinator habitat certainly need to be encouraged by beekeeping associations and by honey producers. We need to be more creative also in trying to involve business or industry sectors, such as timber and forest products companies, even if these sectors do not seem initially to have the direct impacts and responsibilities that Bayer and other major chemical producers have. Back in 2011, I first tried to interest large timber corporation officials in a plan for both improvement of regional pollinator habitats and highway beautification. Timber companies have long faced criticism for clear-cut or full-harvest timber practices, particularly those sites near public highways. At the same time, these forest products corporations give back to their communities and stakeholders in many ways beyond their products and services. Social responsiveness and environmental sustainability investments at some corporations can be as much as five percent of their pre-tax profits. Average corporate expenditures in this category have been at about one percent of such profits over decades. Timber companies are particularly known for their contributions to environmental sustainability programs. 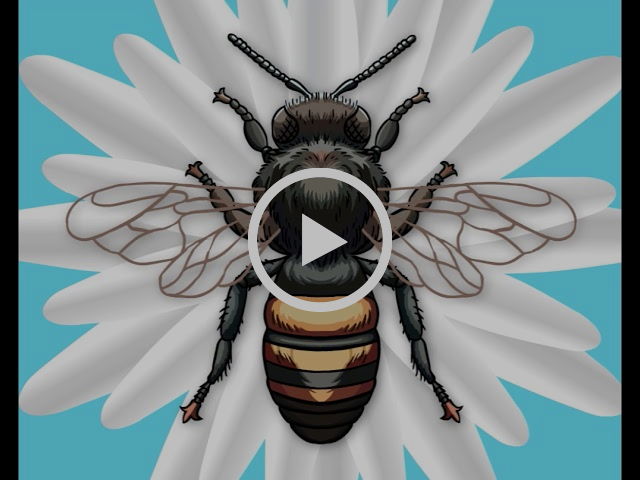 USDA entomologist James H. Cane suggested years ago that planting wildflower “bee pastures” might be just the right prescription for curing the dwindling bee population epidemic. His idea was to plant pesticide-free flower fields as a type of sanctuary for bees to multiply rapidly. My proposal back then was that one or a few large timber companies determine the number and location of timber sites that would be fully harvested in the near future and that are adjacent to highways having significant auto traffic in a particular state or region. On a certain percentage of these sites, these companies would conduct normal full-harvest timber practices with one exception. That would be to include in their normal replanting process, and on fringe areas, an extensive seed scattering of native perennial wildflower and bramble varietals with different bloom periods during the year. After a period of time for emergence of blooms from the first of these wildflower varietals, honey bee hives might be located strategically within these fully-harvested areas. 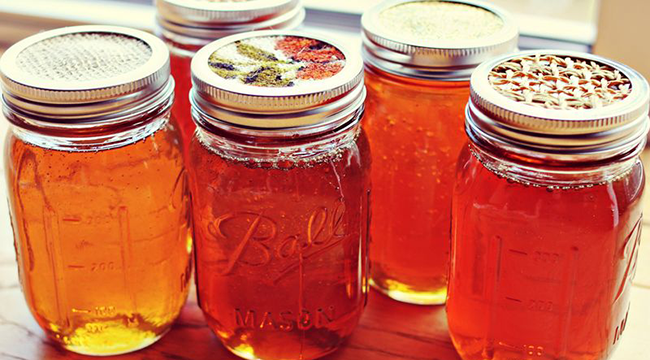 Government agencies, pollinator stewardship groups, county agents, 4H and youth organizations, and area beekeeping clubs or associations could be approached for their advice and assistance with this type of private-sector sustainability initiative. Such programs would provide hands-on environmental learning and increased early employment opportunities for youth involved with this. Expenses such as funds for purchase and cultivation of wildflower seeds, basic hive construction material and tools, and program coordination needs seem well within the scope or allowance as part of many timber corporations’ normal spending on sustainability-related programs. Resources from the sale of honey could even compensate young volunteers or the honey itself could be distributed to area shelters/charities. I received some favorable comments for this plan from several timber-related corporate sustainability officers and others whom I contacted about five years ago. Dr. Cain, USDA entomologist, suggested using existing access paths and/or broken ground into these clear-cut timberlands for wildflower planting. Cassandra Phillips, VP of Sustainability at Weyerhaeuser, reacted by mentioning their having already had licensed beekeepers put hives on Mount St. Helen lands and their fireweed forage. She didn’t comment further, though, concerning other active pollinator programs along the lines that I had proposed. One of the biologists on then Plum Creek’s corporate sustainability committee, Richard Stich, commented that a program such as I had described seemed “well thought out and achievable.” He expressed concerns about “moving the hives on and off between activities, hunting seasons, and liability questions.” It seems to me that hive placement could occur only once and well after wildflower planting, that access to fringes of these clear-cut timber areas adjacent to state highways would not be difficult, and that seeded and hive areas could be selected that were not on, adjacent nor near company properties that had hunting leases. A local county agent who had displayed previous interest in environmental education issues, Donny Moon, suggested possible assistance and guidance from state transportation departments that had previously planted wildflower varietals along state highways. 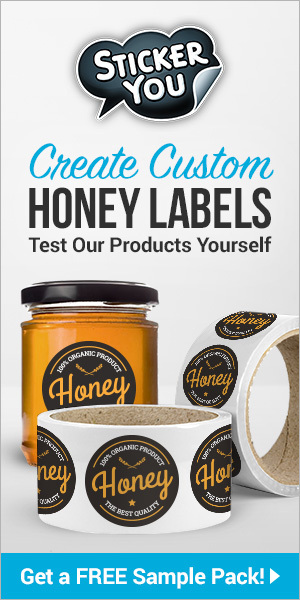 Several companies, such as Native American Seed which focuses on Texas, Oklahoma, and Louisiana, specialize in wildflower seeds and sell particular native seed mixes for honey bees and other pollinators. Some universities as well, such as the University of Louisiana at Lafayette, have ecology or agricultural centers that offer certain native flower seedlings that are well known for needing and attracting pollinators. Finding better mixes of wildflower seeds suited for particular timberland soils seems a challenge, but one that partnership dialogue and experimentation could address. There was not a forest product corporation that I contacted back then, unfortunately, that volunteered to try to adopt my particular proposal and program. Perhaps more publicity about declines in pollinator habitats and recent partnership initiatives to address related concerns might spur one or several major timber corporations now to try this or a similar sustainability approach. It seems more likely that forest products and timber companies are at the point now when native wildflower planting in clear-cut areas for pollinator habitat improvement will become part of some of their sustainability programs. Introducing honey bee hives, as well as possible bumblebee, wasp, and other pollinator “hotels” on these properties would obviously support goals of increasing pollinator populations. 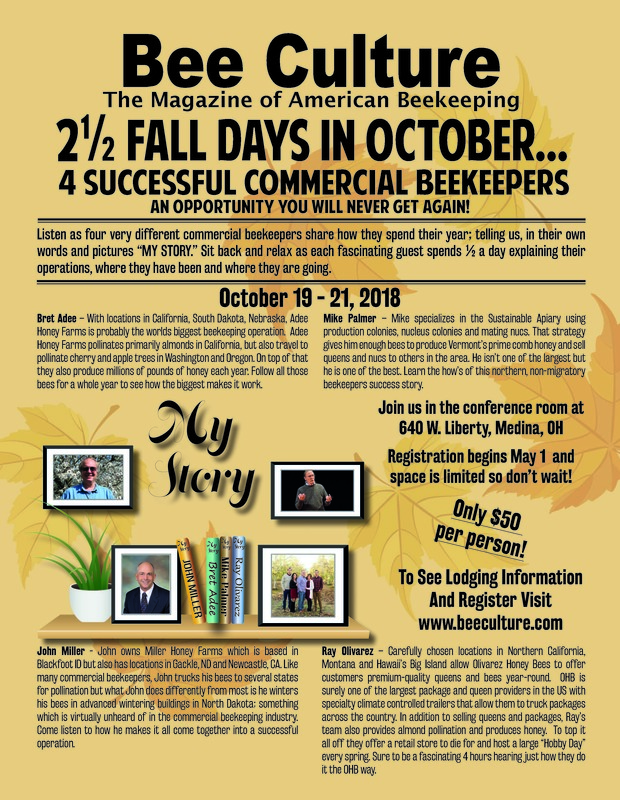 Mark Winston, in the May 2017 issue of Bee Culture, described the Bee Audacious Conference held in late 2016 and the perspectives that evolved from this unique meeting. He emphasized that current pollinator challenges will require some audacious ideas and novel solutions. Also necessary are stakeholder dialogues and coalitions that reach well beyond just beekeepers and pollinator-centric advocacy groups. I’ve written myself in academic journals concerning the power and benefits of multi-stakeholder dialogues. These benefits include their potentials for deeper sharing of knowledge, learning concerning different perspectives, and burgeoning commitment of stakeholders involved in dialogues for more action on the issues studied. Partnerships involving various stakeholders, including those interested in environmental education, could bring together private company investments, government grant funds, and volunteers. Those committed to improved pollinator habitat should look closely at timber and other businesses/industries in their states to determine if partnerships are possible and to explore these. 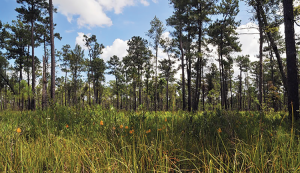 Timber or forest products corporations have significant portions of total land ownership in the Northwest and Deep South of our country and could potentially offer enormous impact on pollinator habitat and populations. Mining and oil/gas corporations, particularly through their land recovery efforts, are other examples of industries that have extensive land holdings in parts of the USA and on which habitat improvement and pollinator encouragement programs might be considered. Government, volunteer, and corporate sector partnerships, through continuing, active dialogue related to pollinator threats and opportunities, appear our best hope for success in confronting the magnitude of current challenges. Steve Payne is a retired university management professor, a beekeeper, and a current executive board member of the LA Beekeepers Association. He occasionally provides strategy consulting and coaching through his beekeeping sideline business (www.strategicbeekeepingservices.com). His web site also offers his e-book, Strategic Thinking and Management for Beekeepers (2016).